Unlike all other web programming languages, Python remains to be the only platform which sustained for a longer period and is most preferred over other languages. The top reason for choosing Python is that it empowers developers to build a concise and maintainable code. Python has been one of the interpreted general purpose programming languages that comprises of a huge number of libraries, frameworks, and different tools, thus enabling the user to solve a wide variety of tasks. Moreover, a wide number of web developers lean towards Python as compared to other languages to get a certification. This is because through Python they are able to generate more readable code. Though Python was discovered a late ago in around 1980s, it still continues to be an interesting topic to get implemented for creating new software and programs. When compared to other languages, Python proves out to be the best platform in aspects of readability and efficiency. While you plan to choose python language for your next project, it becomes essential that you know the latest python frameworks. 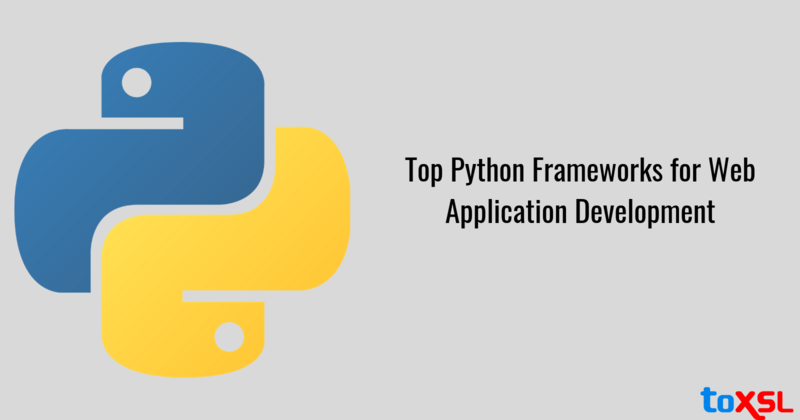 Simply because there is a cluster of frameworks which are gaining spotlight this year there is a dropdown that lists up the details of top python frameworks which are going to overpower the web app development sector this year. Django remains to be one of the most preferred frameworks to date as it is an open and free-source framework. It helps the developers to build applications effectively with full precision. Django streamlines web app development by offering robust features like URL routing, authentication mechanism, ORM, and a lot more. Moreover, it has less need of coding as compared to other frameworks, and of course, it offers reusability of components. Due to this reason, Django is preferred by major vendors including Pinterest, Instagram, Mozilla, and Disqus. CherryPy is one of the most prominent frameworks chosen after Django. Its guideline incorporates running a few web servers in the meantime. It is again an open source web development framework which has its own multi-strung server. It permits the designers more adaptability and empowers/debilitate any varieties of formats, approval techniques, and databases. Its main features include setup framework, module framework, and thread-pooled web server. Pyramid is another incredible framework which is preferred for developing large web applications and CMSs. This framework can be used for all sized and all kind of projects, easy as well as complex projects. It is chosen by expert developers due to its transparency and measurable quality. In fact, most of the largest industry influencers including Mozilla, Dropbox, and Yelp have chosen a Pyramid for their services. Its security factors make it easy to check the control records and carry out easy set ups. Web2Py is an open source and a free framework which includes code editor, debugger, and deployment tool in order to build and debug and test the code. Web2Py pursues the MVC design which underpins Google App Engine, Windows, Unix/Linux, and various other platforms. The feature which makes Web2Pay a unique framework is its ticketing framework, under this a ticket is issued as soon as an error occurs. One of the interesting small scale frameworks is Bottle which executes everything in one single document. Bottle framework was basically developed for building web APIs. Its major exciting features include utilities, templating, and fundamental abstraction. Netflix has been using Bottle framework to build their web interfaces. Another appealing web framework is a Tornado which utilizes a non-blocking framework I/O and it overcomes the C10k issue perfectly. Its main features include the superior quality, non-blocking HTTP customer, in-built support for user confirmation, support for interpretation and localization. It is one of the recent web development frameworks. Its makers are set on a task to examine the upsides and downsides of the most popular Python web frameworks and make something that would be the best encapsulation of all the advantages, while deprived of disadvantages. Flask is easy to learn, simple, and frequently used in small projects that solve one or two functions. Grok framework has been developed in order to deliver an agile development experience to the developers while focusing on convention over configuration. It is an open source framework with the objective to speed up the complete app development process. BlueBream is an open source framework developed by the Zope 3 team for both, medium and substantial activities. It solely relies upon Zoop Toolkit and effectively helps in meeting the developer requirements. No doubt, all the above frameworks are exclusive enough and we simply can't compare them with other frameworks. But still, you need to take out enough time, clear your business requirements, and depending on that decide the framework which is perfect to meet your needs. Have any queries? You can rely on ToXSL Technologies. Our community deals with all kind of frameworks and offer our clients affordable services. Get in touch with our experts and know more about us.